A former Cameron County employee convicted of stealing $1.2 million over 9 years who was sentenced to 50 years in prison in April will not get a new sentencing hearing, a judge ruled Friday. heft of more than $250,000 by a public servant and received the five-decade sentence on April 20. The Cameron County District Attorney’s Office Special Investigations Unit arrested Escamilla last year after a driver from Labatt Food Service in Harlingen called the Darrel B. Hester Juvenile Detention Center’s kitchen to let employees know their 800-pound delivery of fajitas arrived. Escamilla was in charge of that kitchen, and fajitas are not on the menu for the minor inmates incarcerated at the facility. The total value of the fajitas, which were stolen during a nine-year period, was $1,251,578. That figure does not include the brisket, pork chops, sausage and various types of chicken Escamilla also admitted to stealing, court testimony has revealed. During the Friday hearing which lasted about 3.5 hours, Escamilla’s defense attorneys brought more than a dozen witnesses, many of whom were extended family. Those family members testified that Escamilla’s former attorneys, Reynaldo Garza and Gustavo Elizondo, never contacted them to testify at the sentencing hearing. 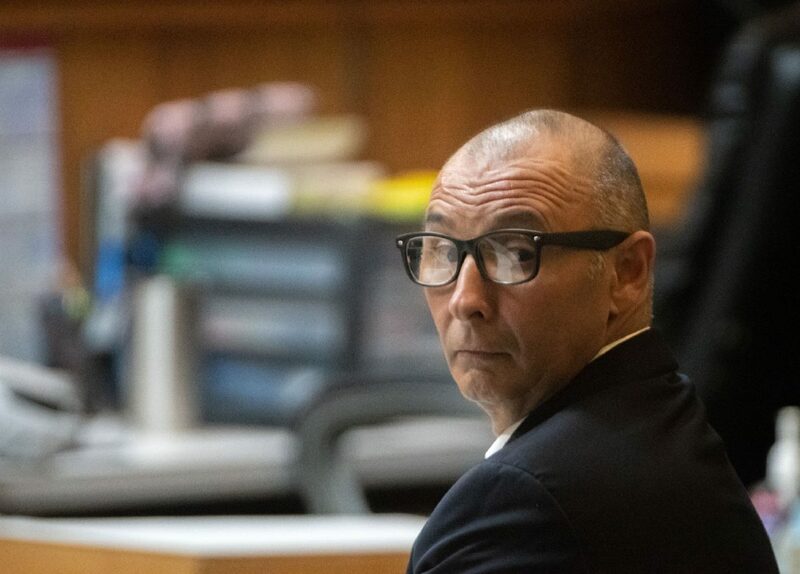 However, Cameron County Assistant District Attorney Pete Gilman reminded the court that at the April 20 sentencing hearing Escamilla made it clear that he did not ask family to attend the hearing because he’d already put them through enough. On cross examination by Gilman, many of Escamilla’s relatives, who were first and second cousins, testified that Escamilla had not reached out to them prior to the April 20 hearing, but told the defense had they been called they certainly would have testified on his behalf. Escamilla, shackled and dressed in an orange county-issued jumpsuit, testified that he believe his attorneys misrepresented him by recommending that he go before visiting state District Judge J. Manuel Bañales rather than a jury. “I should have chosen a trial by jury,” Escamilla said, before Gilman grilled him and reviewed the plea packet he signed and the record where Escamilla said he understood what he was doing. Both Garza and Elizondo also testified during the hearing, testifying that it was a mistake to choose to have the judge sentence Escamilla rather than a jury. Elizondo, who testified that he has been a defense attorney for 2.5 years, said that knowing what he knows now, he would have chosen a jury rather than Bañales for sentencing. Elizondo testified that he came to that decision based off of conversations with Garza, who has been a defense attorney for two decades, other attorneys, a positive bond hearing with Bañales and worries about jury backlash. Garza testified that he wasn’t directly involved in the case but told Elizondo, who is his first cousin and law partner, that he has had positive interactions with Bañales in the past. Garza said immediately after sentencing he knew it was a mistake and Googled the judge. The first result, Garza testified, was a Texas Monthly article describing Bañales as the toughest judge in Texas. “I’m sorry. I feel bad. I didn’t advise you. Mr. Elizondo didn’t advise and I don’t know if he told you,” Garza said, describing what they perceived as their failure to research the fact that Bañales is known for handing down stiff sentences. Elizondo and Garza refunded their attorney fees to Escamilla by turning them over to the Stapletons to fund the appeal. After hours of testimony, Bañales ruled that Escamilla did knowingly agree to plead guilty and that none of his rights were violated when he handed down the five-decade sentence. During that April 20 hearing, Bañales told Escamilla he decided on 50 years because Escamilla did great harm to the county. “You abused the system. You abused those employees there. You abused every taxpayer,” Bañales said.